Puerto Rico is a US territory in the northeastern Caribbean. This archipelago features the mainland Puerto Rico and several other islands that make up the country. 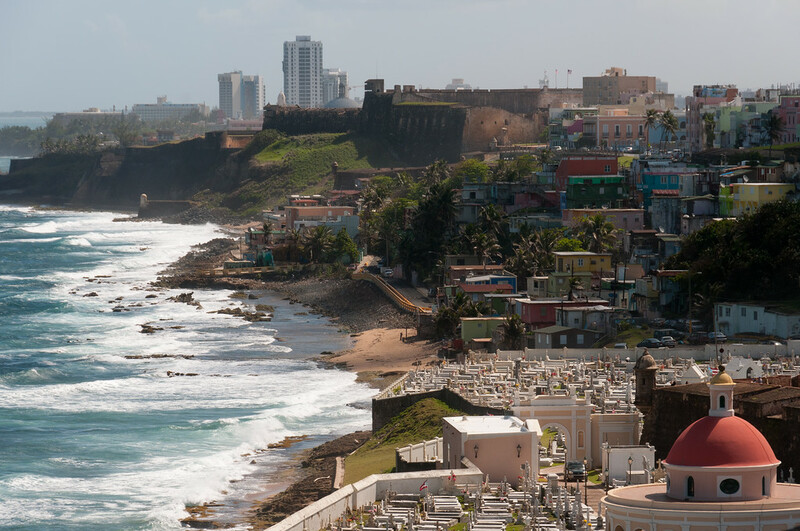 There are approximately 3.6 million people in Puerto Rico, which places it third in terms of the highest number of population amongst the Greater Antilles countries. 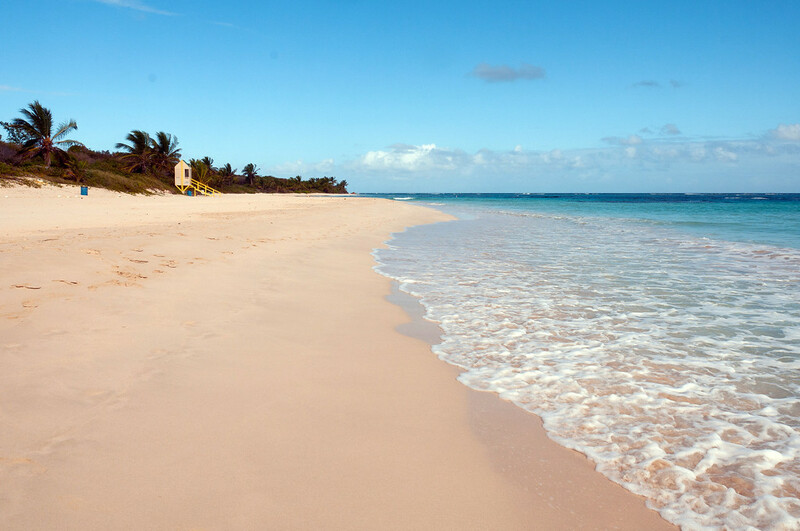 The geographic location of Puerto Rico offers it a beautiful tropical climate all year round. For this reason, tourists flock and travel to Puerto Rico for leisure purposes. Puerto Rico was once ruled by the Spaniards and it is heavily evident in the culture, language and cuisine. In fact, the Spaniards also introduced Roman Catholicism to Puerto Rico. A lot of the forts, churches and public infrastructure were still preserved to this day from the time they were built during the Spanish colonial era. The World Bank has classified Puerto Rico as a high economy nation. In fact, it is one of the most competitive economies among the Latin American nations. Its economy relies on multiple industries including the service industry, manufacturing, real estate, insurance and travel to Puerto Rico. 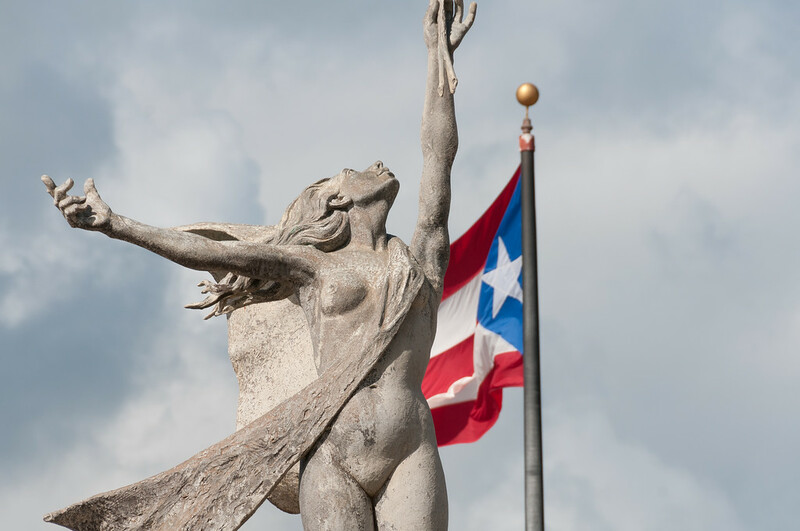 Official Language: English and Spanish are the official languages of Puerto Rico. Wi-Fi Availability: Wi-Fi is widely available in over 30 towns in Puerto Rico. Most of these Wi-Fi internet access are available to the public. Airport/s: The Luis Munoz International Airport is the main international airport for flights that travel to Puerto Rico. Visa Required: US citizens do not require passport to travel to Puerto Rico; however you might need to present a government-issued ID in order to comply with the airport’s security rules. The same visa requirements hold for travel to Puerto Rico as in the US. Driving: The people in Puerto Rico drive on the right side of the road. Crime: The level of crime in Puerto Rico is very high. In fact, crime statistics have increased over the past 3 years. Common forms of crimes in Puerto Rico are break-ins, theft, robbery and mugging. Tourists are advised against walking the streets at night, especially when alone. Electrical Adapters: Puerto Rico uses an electrical voltage of 120 volts with an electrical frequency of 60 Hertz. Bring your own voltage converter or adapter if you are using a different voltage type in your home country. Trivia: The world’s largest telescope, the Arecibo Observatory, is located in Puerto Rico. This is just one of many attractions waiting to be discovered on your next visit! The cooking tradition and cuisine of Europe (primarily Spain) has major influence on the cuisine of Puerto Rico. Other sources of influence are Africa and the native Tainos of Puerto Rico. The use of US ingredients and cooking techniques was introduced and created an influence on the Puerto Rican cuisine at the start of the 19th century. The Spanish influence in Puerto Rico’s cuisine is evident in their use of these ingredients: chickpeas, onions, garlic, basil, lard, chicken, beef, pork, wheat, black pepper, and cilantro, to name a few. Meanwhile, African influence is reflected in the Puerto Ricans love for using coconuts, oregano, tamarind, yam, and sesame seeds. Several traditional Latin American ingredients are also used widely in Puerto Rico. 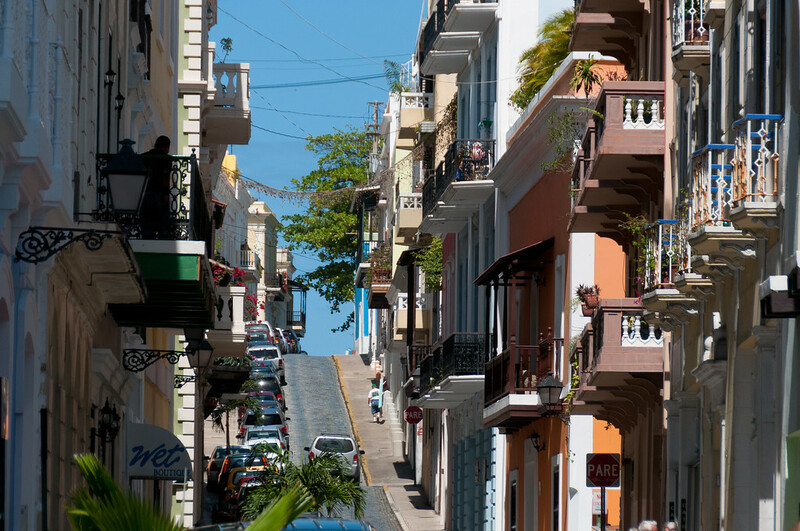 Old San Juan: This is the oldest district in Puerto Rico. In this part of the country, you will find beautifully preserved historic and colonial buildings that transport you to the times of the Spanish colonialism. Castillo San Felipe del Morro: This is a 16th century fort and citadel located in San Juan. The fort was named in honor of King Phillip II of Spain. 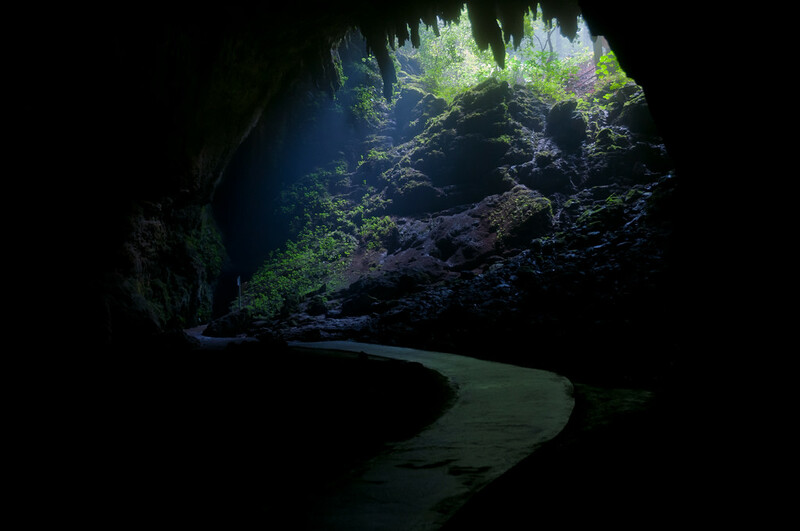 Camuy River Cave Park: This is a cave system in Puerto Rico that links three municipalities: Camuy, Lares and Hatillo. San Juan National Historic Site: This historic site belongs to the Old San Juan district in Puerto Rico. It is only national park in Puerto Rico. This is a UNESCO World Heritage Site that was one of the many defensive structures built between the 15th and 19th centuries in Puerto Rico. Isla Verde: The term literally translates to Green Island, which is basically what this district is about. There is a vibrant neighborhood, beautiful beaches, pristine greeneries and a booming financial district.